Capillary refill time has been accepted as a method to manually assess a patient’s peripheral blood perfusion. Recently, temperature has been reported to affect capillary refill time and therefore temperature may interfere with accurate bedside peripheral blood perfusion evaluation. 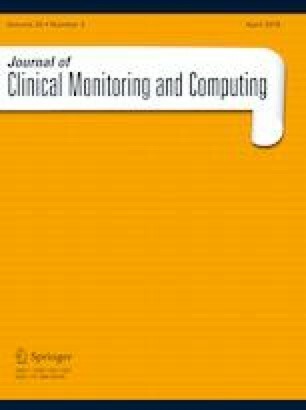 We applied a new method of analysis that uses standard hospital pulse oximetry equipment and measured blood refill time in order to test whether lowered fingertip temperature alters peripheral blood perfusion. Thirty adult healthy volunteers of differing races (skin colors) and age (young: 18–49 years and old: ≥ 50 years) groups were recruited. We created a high fidelity mechanical device to compress and release the fingertip and measure changes in blood volume using infrared light (940 nm). Capillary refill times were measured at the fingertip at three different temperature settings: ROOM TEMPERATURE, COLD by 15 °C cold water, and REWARM by 38 °C warm water. The COLD group has decreased fingertip temperature (23.6 ± 3.6 °C) and increased blood refill time (4.67 s [95% CI 3.57–5.76], p < 0.001). This was significantly longer than ROOM TEMPERATURE (1.96 [1.60–2.33]) and REWARM (1.96 [1.73–2.19]). Blood refill time in older subjects tended to be longer than in younger subjects (2.28 [1.61–2.94] vs. 1.65 [1.36–1.95], p = 0.077). There was a negative correlation (r = − 0.471, p = 0.009) between age and temperature. A generalized linear mixed-effects model revealed that lower temperature (OR 0.63 [95% CI 0.61–0.65], p < 0.001) rather than age (OR 1.00 [0.99–1.01], p = 0.395) was the independent factor most associated with increased blood refill time. Lowered fingertip temperatures significantly increase blood refill time which then returns to baseline when the fingertip is rewarmed. In our limited number of population, we did not find an association with age after the adjustment for the fingertip temperature. Data were presented as a poster presentation at the American Heart Association Resuscitation Science Symposium in November 2017. We thank Katherine Lamond for her help with coordinating research and thank Postdoctoral Editors’ Association, the University of Pennsylvania & CHOP, for help with language editing. Research reported in this publication was supported by the research grant of Nihon Kohden Corporation. JK and MJC have no known conflicts of interest associated with this study and there has been no significant financial support for this work that could have influenced its outcome. Kota S., HH, KH, NK, and SW are employees of Nihon Kohden Corporation and Nihon Kohden Innovation Center, INC. There are no products in market to declare. This does not alter the authors’ adherence to all the journal’s policies on sharing data and materials. Koichiro S., JWL, and LBB have a patent right of metabolic measurements in critically ill patients. Koichiro S. has a grant/research support from Nihon Kohden Corp.. JWL has a grant/research support from Zoll Medical Corp., Philips Healthcare, Nihon Kohden Corp., and the NIH, and owns intellectual property in resuscitation devices. LBB has a grant/research support from Philips Healthcare, the NIH, Nihon Kohden Corp., BeneChill Inc., Zoll Medical Corp, and Medtronic Foundation, patents in the areas of hypothermia induction and perfusion therapies, and inventor’s equity within Helar Tech LLC.